The Puttster is a patent pending training system that is guaranteed to improve your putting. The 2-part system combines an Alignment Guide that ensures proper aim and stoke speed with a Target Ramp that rewards perfect putts and returns off-line putts. Within no time, you will see improvement in both the alignment, speed and accuracy of your putts. This is a must have for golfers of all abilities looking to shave strokes off their score and can be used at the office, at home or on a green. 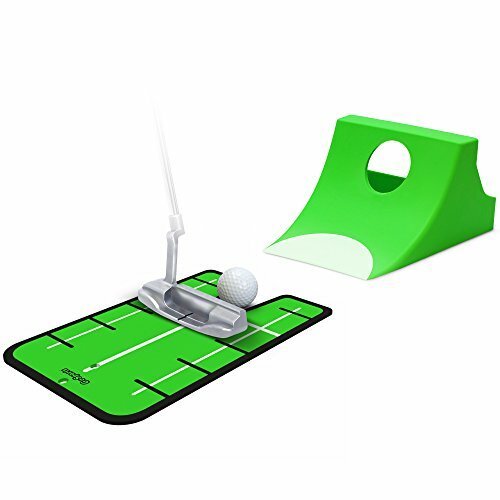 The Puttster also comes in a full color retail box, making it a great gift for any golfer! IMPROVES SPEED AND LINE - Guaranteed to Improve Your Putting!